The Riverhouse - Estcourt Accommodation. All individually decorated, spacious rooms have their own bathrooms, DSTV, tea and coffee making facilities, heaters, electric blankets and roof fans. There are three double rooms in the main house, one with a separate entrance. There are also two en-suite double annexes with their own entrances, and a self-contained family room with twin beds and sleeper chairs that can sleep 2 to 4 and is equipped for self-catering with fridge, microwave, 2-plate stove, toaster and the necessary crockery and cutlery. The Riverhouse is very secure, with palisade fencing, security patrols at night and electric gates. There is ample safe parking. All rooms are serviced daily. 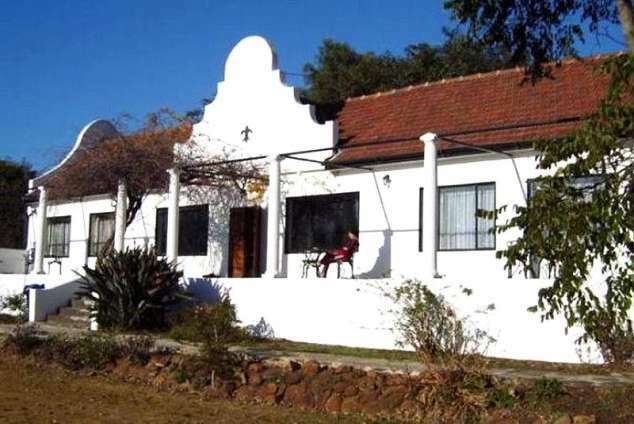 The Riverhouse is located conveniently within Estcourt, close to all the conveniences, but because of its large terraced grounds and tranquil position overlooking the river, the atmosphere is that of a peaceful country retreat. Easy access to the N3 makes exploring the Drakensberg, the Battlefields and the Midlands Meander a breeze. The quiet atmosphere, excellent and friendly service, and spacious living areas make it equally ideal for the businessman looking for a comfortable and upmarket "home from home". There is a designated smoking area on the veranda, the rest of the guesthouse is non-smoking. 31324 page views since 27 Jul, 2006. Last updated on 04 Sep, 2018.